What is the Credit Card Shuffle? 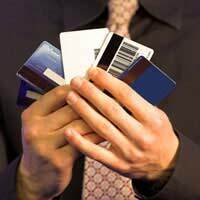 Home > Managing Debt > What is the Credit Card Shuffle? For many consumers, credit cards are a vital tool. They can bridge the gap at the end of the month before the next pay-cheque, and can provide an easy means of borrowing when the need arises. However, the ease of availability of credit has meant many individuals find themselves in significant credit card debt. This is doubly problematic as credit cards can be a particularly expensive way to borrow. The credit card shuffle is a method by which you can ensure that you are borrowing as cheaply as possible. Many people have found that it is possible to continuously transfer their balance to new credit cards, thus taking advantage of introductory 0% offers. However, there are a number of downsides associated with this method. In the first instance, if your credit rating is already poor, you are likely to find it difficult to qualify for cards that would provide such introductory offers. Similarly, constantly applying for new cards will have a detrimental impact on your credit rating. The credit card shuffle leaves no mark on your credit rating, and doesn’t require you to apply for any new cards. It is only a viable option, however, if you have a number of different credit cards, store cards or overdrafts. There should also be some variation in interest rate between these debts. To begin with, you should make a list of all of your existing credit card, store card or overdraft debt. This list should include the amount owing, as well as the interest rate, credit limit, and any fee that would be incurred by a balance transfer. This list should show you which are the most expensive debts to service, and which are your largest. As has been mentioned, the purpose of the credit card shuffle is to change the spread of your debts in order that you are borrowing as cheaply as possible. Clearly, therefore, you should be trying to move debts from the most expensive cards to the cheapest. You should move as much of this debt as possible, until you reach the upper credit limit on the cheapest card. At this point, you should then try to make excess payments on the cheapest card, with the intention of freeing up some more credit. This process will work best if you can draw up a budget that allows for some extra cash to make as large a payment as possible each month. As you make these payments you should then continue to transfer balances from the most expensive card. When the entire balance of this card has been moved, you should then start transferring balances from the next most expensive card, and so on. It is important to remember that most credit card providers charge a percentage fee for the privilege of transferring balances. You should make sure that you know exactly how much each of these charges are, as they may alter the efficiency of the credit card shuffle process. It is also worth remembering that credit card providers are frequently open to negotiation; their primary aim is to retain their custom. If you can therefore negotiate an interest rate cut on your cheapest card, the entire process will provide even greater savings.